HaslerRail is a global supplier of data recorders, offering a complete range of smart and innovative data acquisition, recording, management and analysis solutions that are 100% Swiss-engineered for the most recent standards and techniques. Since 1887, HaslerRail has focused on the design, application, development, final assembly, testing, distribution and marketing of event recorders and related equipment. The Hasler brand stands for excellent quality and innovation in tachometry. As well as being the partner of choice for new vehicles by system integrators, HaslerRail can also manage modernisation projects for individual vehicles or entire fleet upgrade programmes. More than 90% of HaslerRail’s sales are made in global markets, the main ones being Europe and Asia. To reach this level of international sales, HaslerRail has established sales offices in a number of countries, as well as a network of agents and distributors. HaslerRail is an innovator in the field of data recording. The reliability and quality of the company’s products is proven by our customers’ trust worldwide. 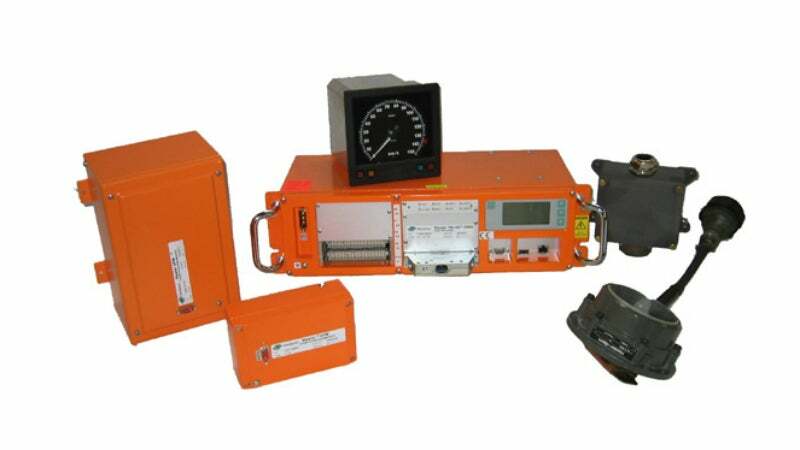 The Hasler RT/A is an electro-mechanical strip chart recorder and tachometer for various applications, such as multiple units and locomotives. The Hasler RT/A systems were launched in the 1930s and are still in production today. The fast development of electronic components has forced HaslerRail to keep pace and continue to develop its products. Several generations have been developed, including TELOC®2200 in 1989, and TELOC®2500 and TELOC®1500 in 2001. Today, TELOC®3000 is state-of-the-art technology catering for all modern bus signals as well as voice and video applications. There are over 25,000 TELOC units in daily service worldwide. The company’s systems are all based on the initial idea found in TELOC®E and TELOC®2000 S/D. However, the new systems are equipped with advanced technology that allows multiple functions and applications, and can be enhanced with crash-protected memory. The inductive and optical pulse generators were introduced to the market in 1968 and 1976, respectively. The latest technology has been employed to enhance the Hasler®CORRAIL and Hasler®HDPG, enabling them to deal with the most extreme mechanical and thermal stress. The generated signals can be used for measuring and recording distance, speed, and wheel slip-and-slide for automatic train protection systems. HaslerRail aims to make the handling of its customers’ data as simple and user-friendly as possible. The company offers an accident analysis software called EVA2, which allows the user to analyse an event in detail. HaslerRail has also developed the Hasler®EVA+ management and analysis software, enabling combined ETCS and national, voice and front / rear view data evaluation, GPS tracking, data comparison and much more in one server-based, user-friendly software. The newly developed software can be used by fleet and risk managers to compare train and driver performance and control risk. HaslerRail offers a wide range of communication solutions, allowing wireless data transmission to a server and remote access to current vehicle data. HaslerRail applies comprehensive quality management principles throughout the organisation, and has been certified according to ISO: 9001 since 2005; ISO: 14001 since 2007; and IRIS since 2006. HaslerRail and SAIRA Electronics invite you to visit the InnoTrans 2016 from 20-23 September in Berlin, Germany.